A fun sight word games pack that will make kids excited to practice sight words. “Sam just does not want to practice his sight words. It’s like pulling teeth!” It’s no wonder early readers often don’t want to revise sight words. We hand them a list and expect them to learn by rote and repetition, which is honestly not much fun for anyone! If you want sight words homework to be a positive experience instead of an ongoing battle, the number 1 thing you need to do is make it fun. 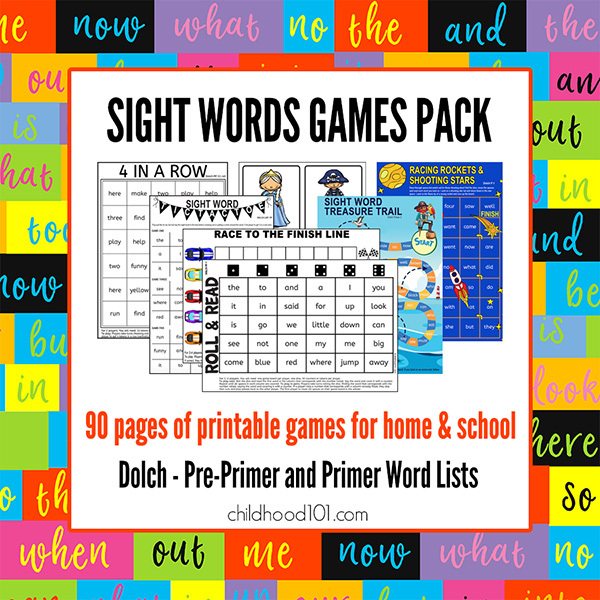 This sight word games pack is a great way to do just that. Designed to really engage children with sight word learning through playing games, it will help to get them recognising the words and responding quickly. The games are easy to prepare and simple to play and can be used by homeschoolers, or at school in small group literacy work – or teachers, send some home for homework! Ideas for use with children learning to read, this pack is great for teachers, homeschoolers and parents looking to support their child’s learning. The games and resources can easily be used as a homework tool or within the classroom. Instructions for 7 card games to play with sight word cards – not just concentration or memory! The games and resources are quick and easy to print and prepare, and fun to play! 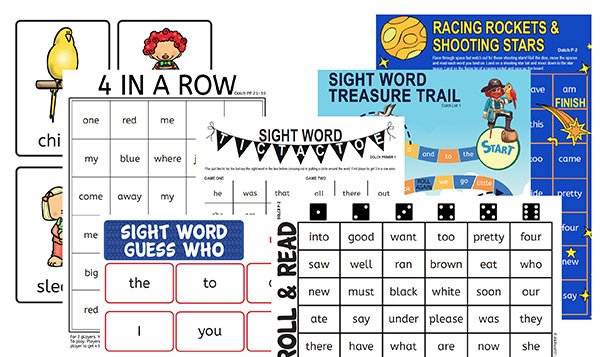 You can purchase and download this fabulous digital sight words game pack now for just $5US. PLEASE NOTE: This book is received via a digital download which means there is no waiting, as soon as payment is received you will be able to download your PDF file and get started. Please download the file when on a laptop or desktop computer and not to a mobile device first. The download link expires after 5 days. All sales of PDF files are final and no refunds will be given. Great collection of printable sight game. Thanks for sharing. hi just wondering if the words are Australian english please?